Facer, the app that lets you browse a ton of different watch faces for Android Wear devices, received a massive update this week on Google Play. 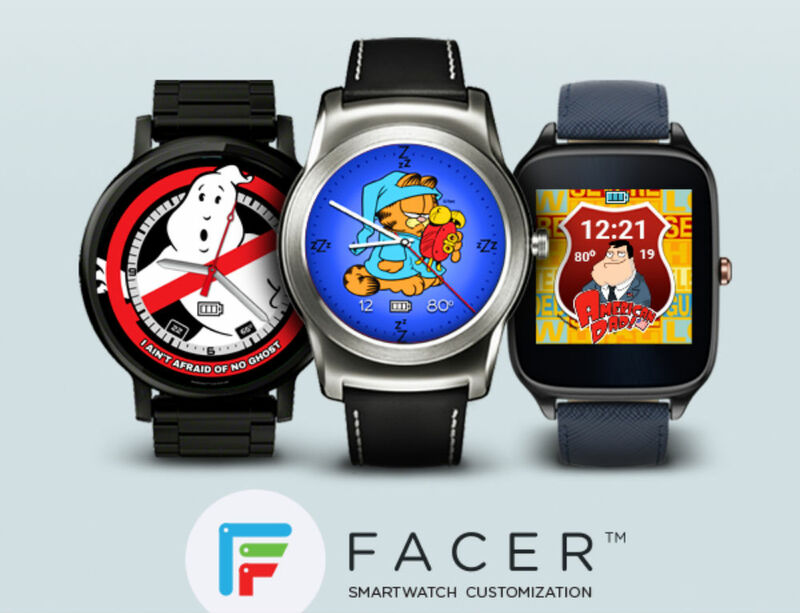 Facer 2.0 features many brand partner watch faces, including a few from Garfield, American Dad, and Ghostbusters. Not only are new watch faces available, but the app is completely free to download, dropping its original $0.99 price. If folks can’t find a watch face they are looking for, even though there are thousands, Facer allows you to create you your very own through a new website located here. Through the site, users can create custom watch faces for any number of watches, then publish them for usage. The site has many walkthroughs and tutorials to help you get started, as well as designs to inspire you. The Facer 2.0 update and the Face Creator website are live now, so head on over to Google Play and grab it.